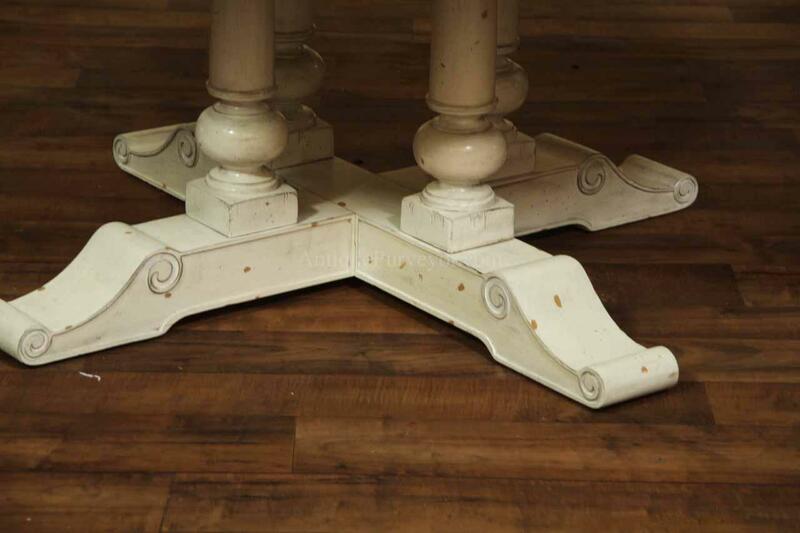 Expandable farm table with self storing leaves, seats 8. 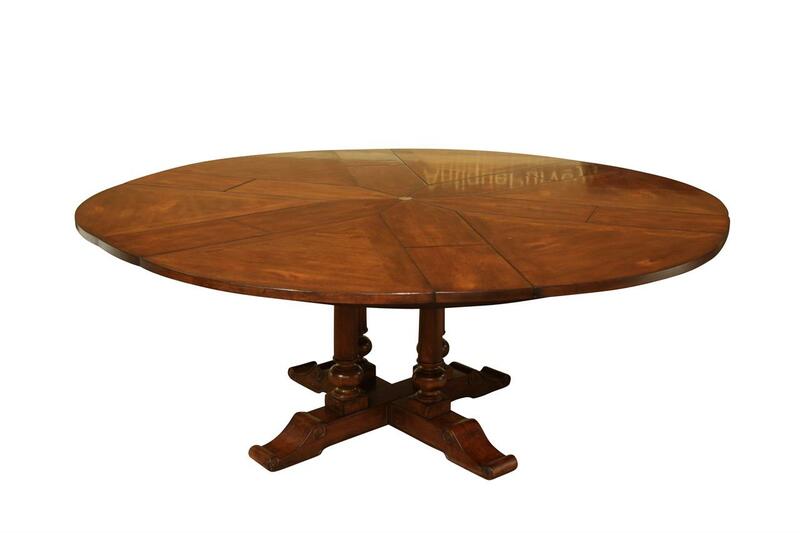 Country wood and painted round to round expandable table can be used at 60 and 78 round. 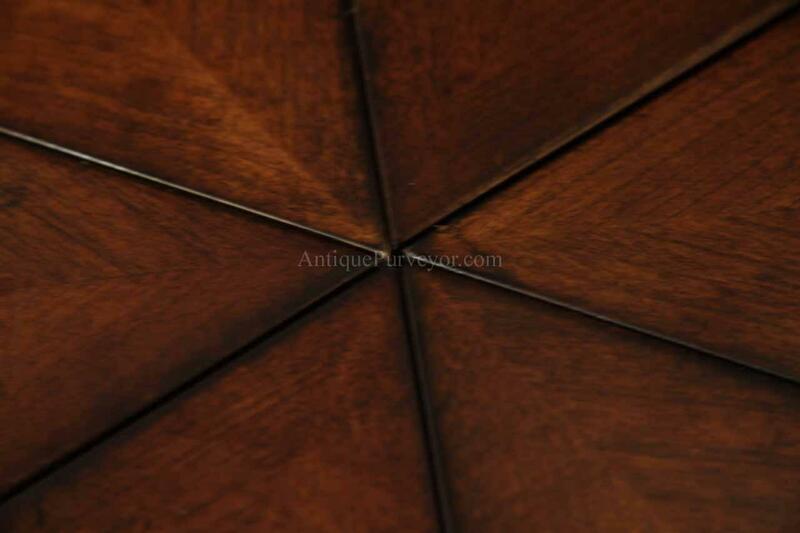 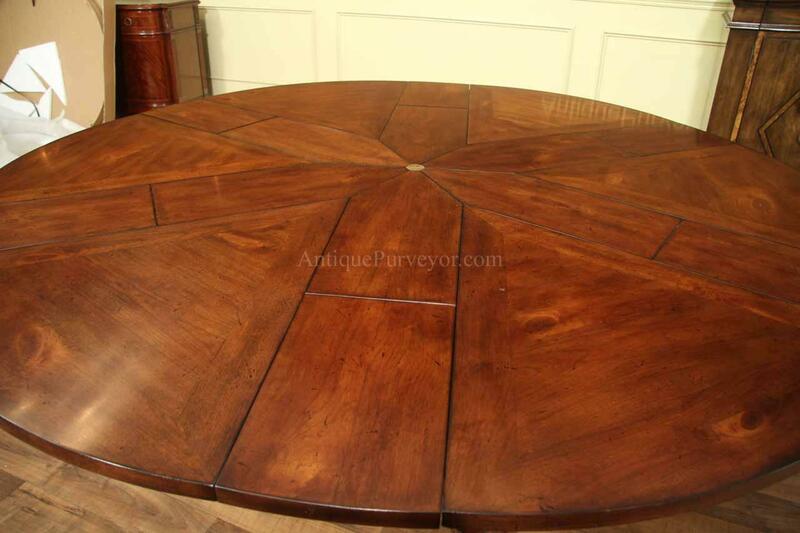 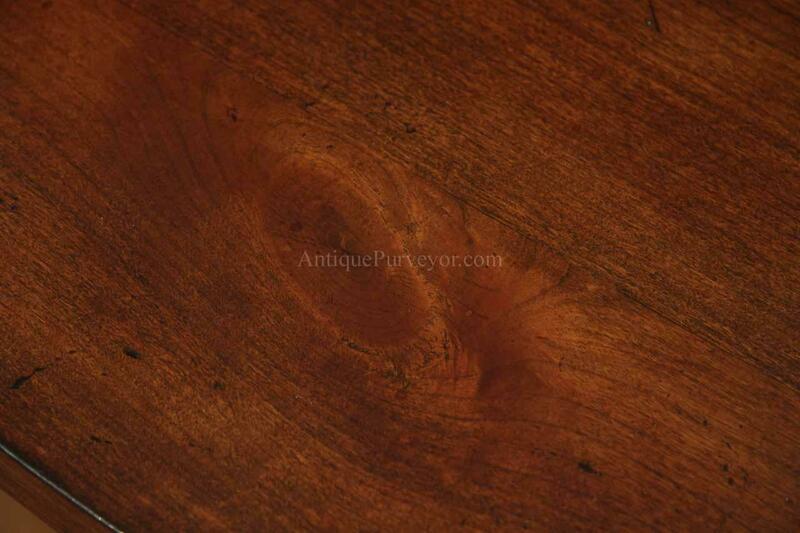 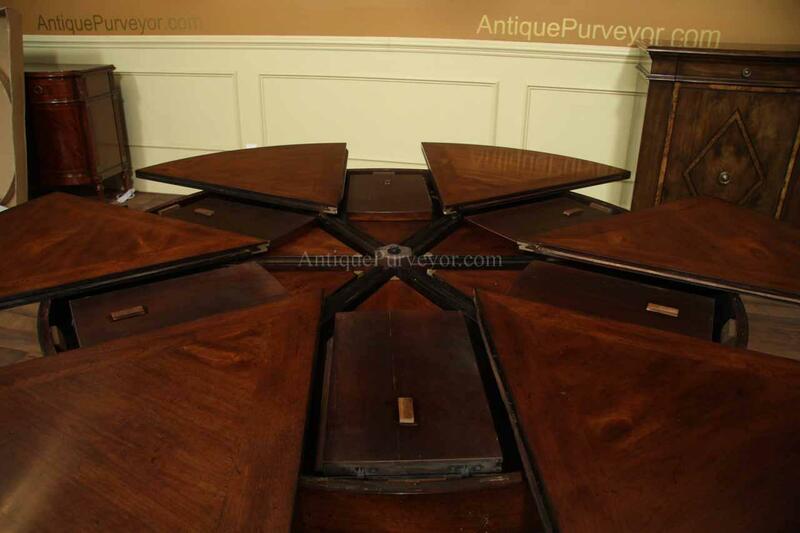 Description: Country style round to round dining table with hidden leaves. 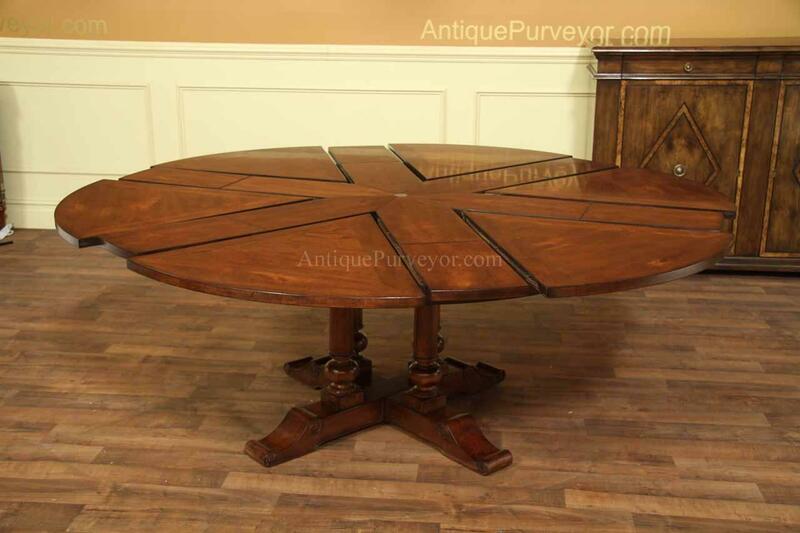 This table can be used at 60 or 78 inches round. 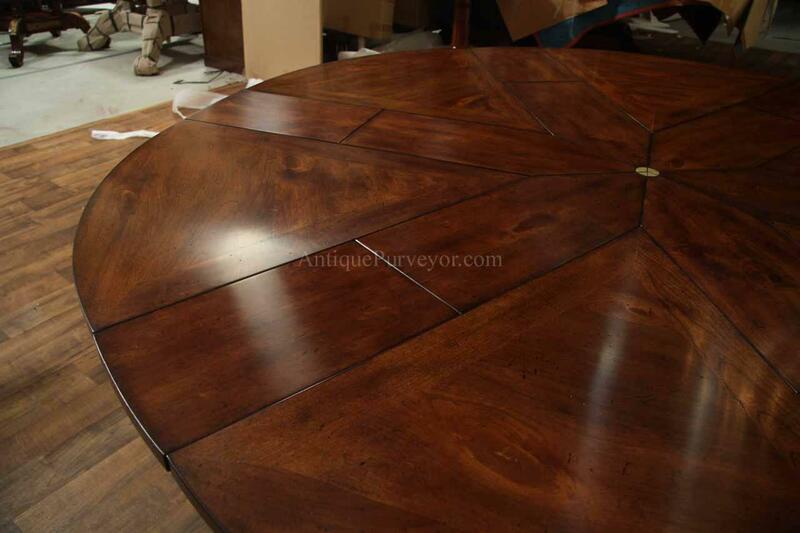 Top is a maple color with mild factory distressed semi gloss finish. 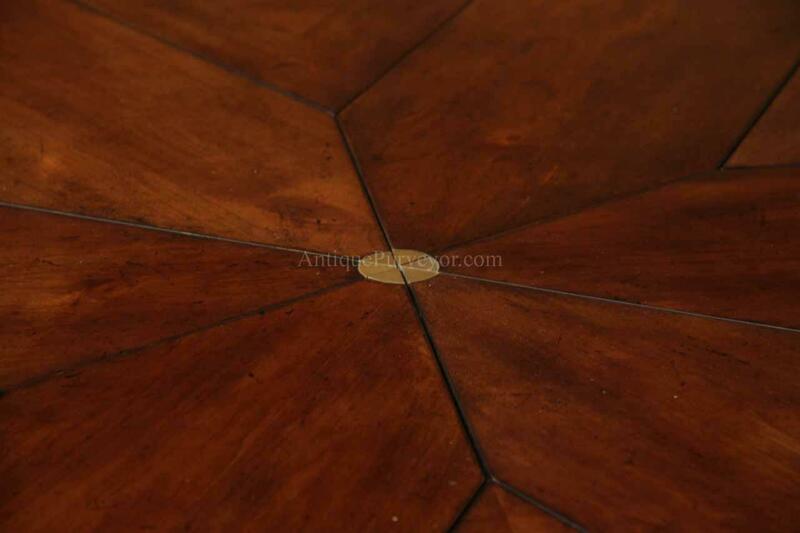 This table top is well made. 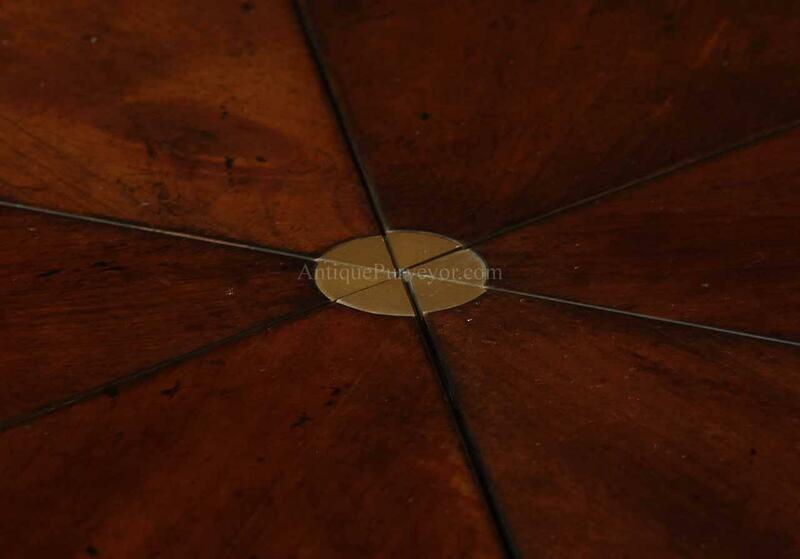 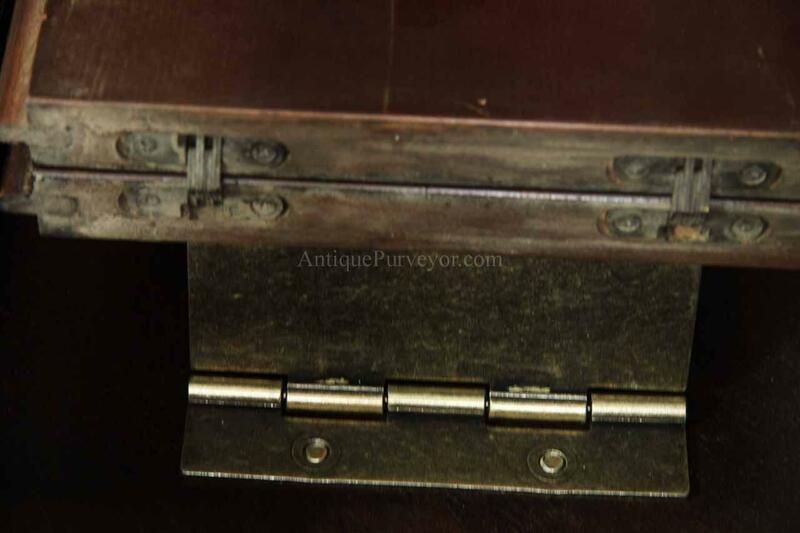 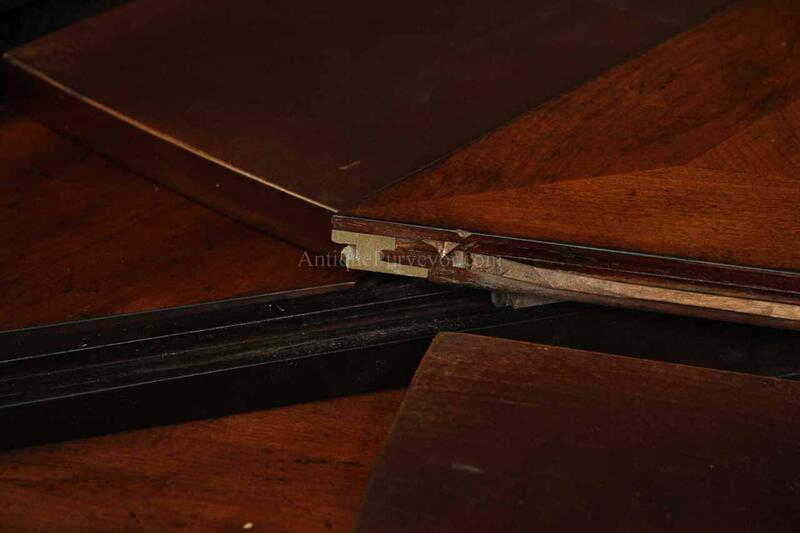 The sliding table parts and leaves align flawlessly, the seams are tight and the tips of the leaves are protected with brass fittings. 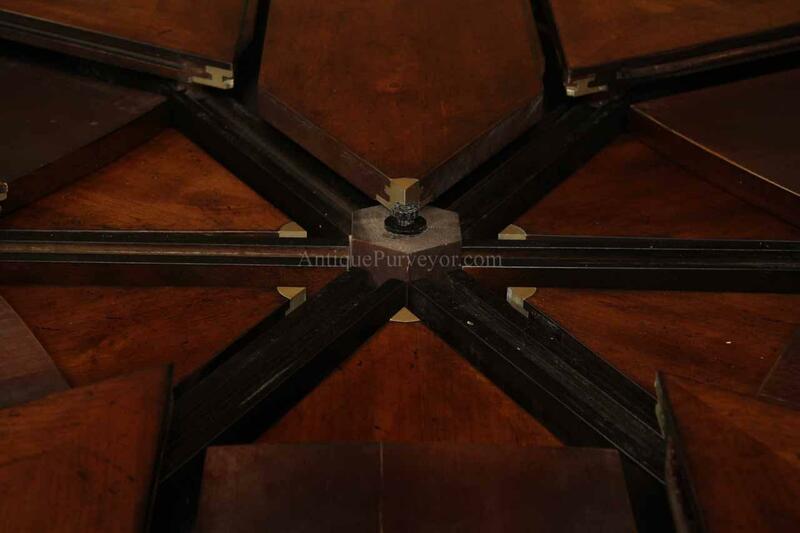 Leaves stay into place and are snug whether opened or closed. 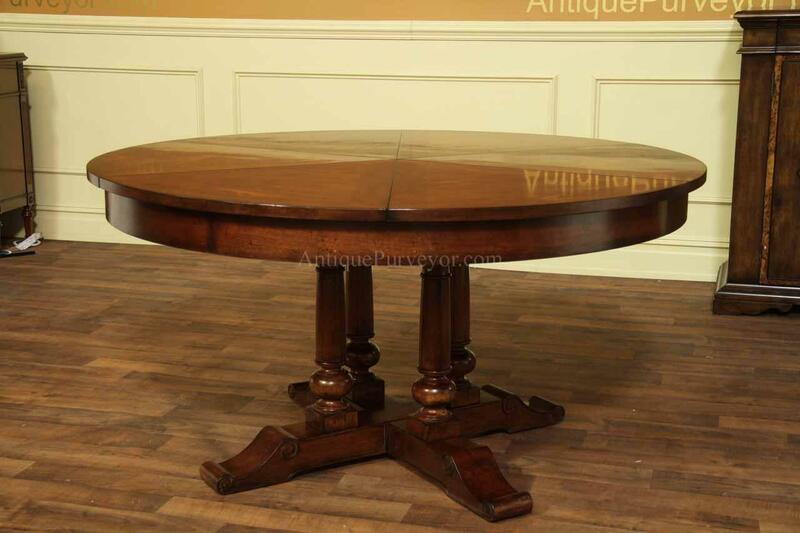 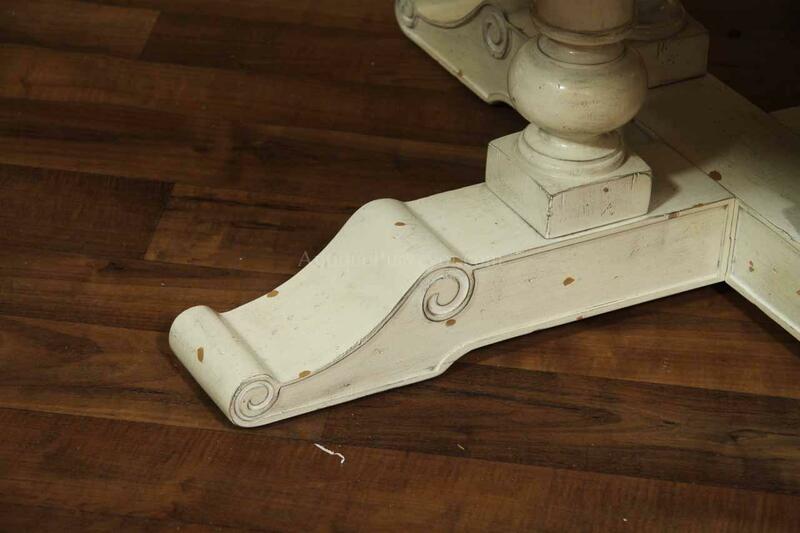 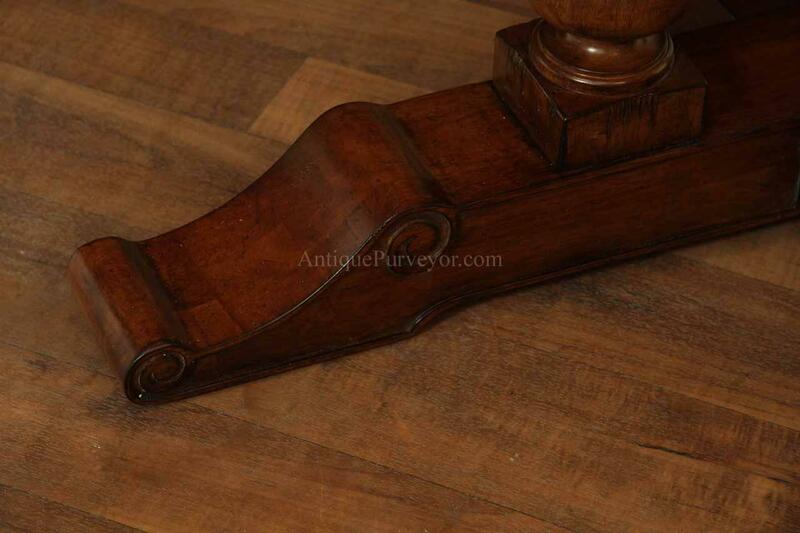 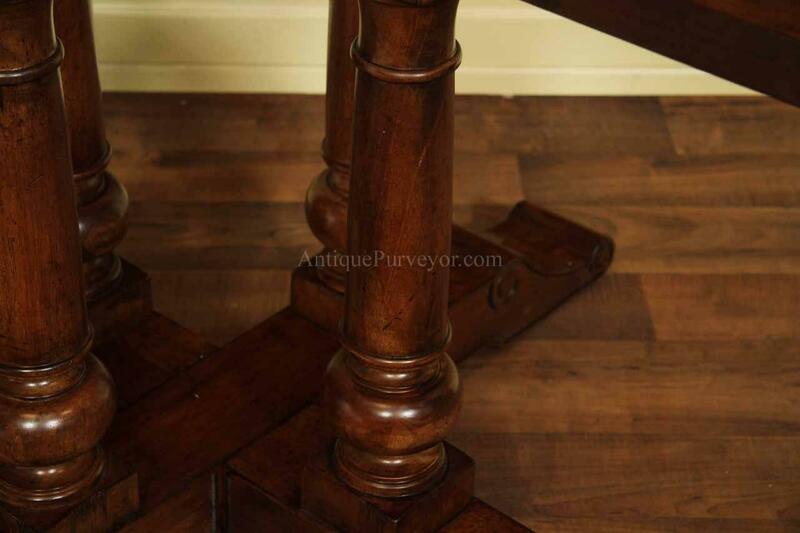 Pedestal is sturdy and when you lean on the table's edge you get little movement. 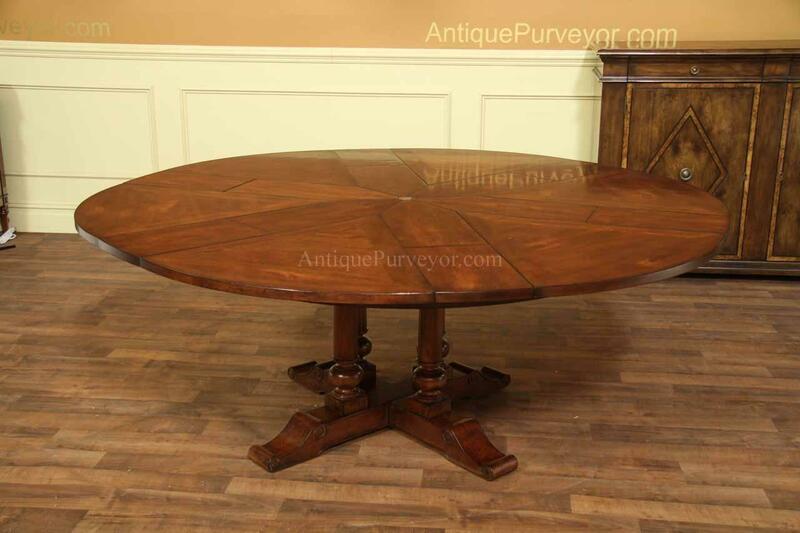 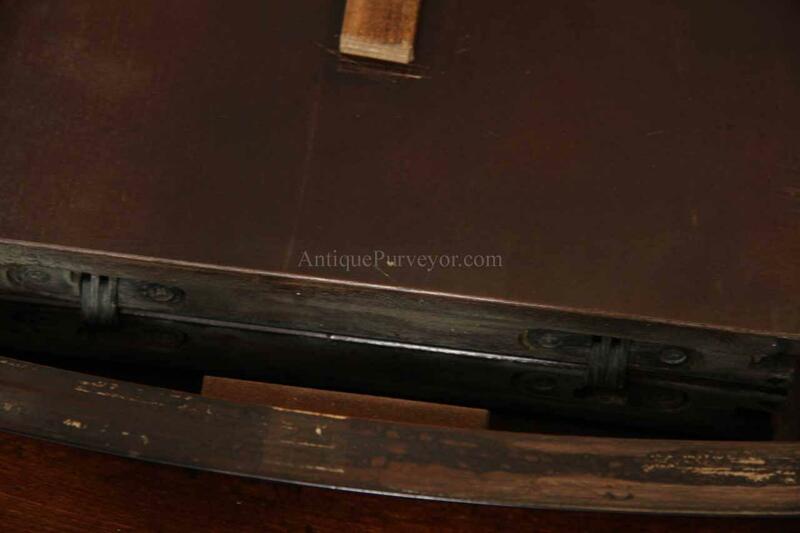 This table is priced well below the market for such great quality. 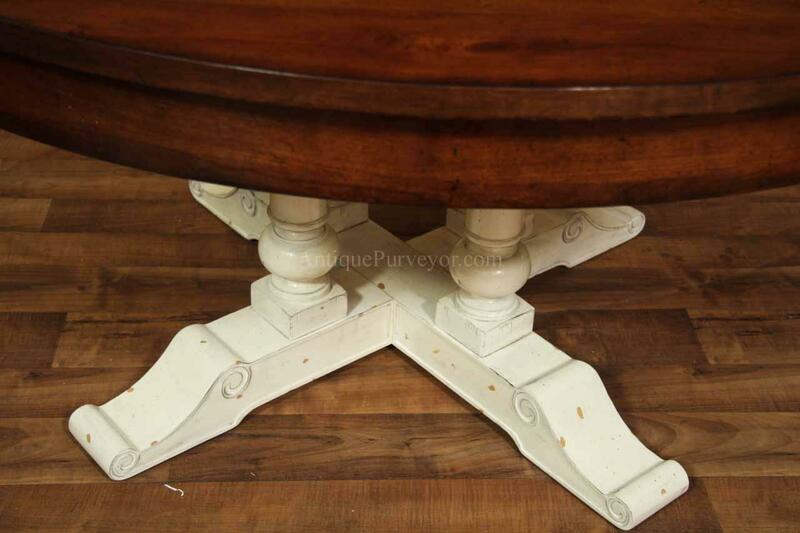 We only found one shortcoming with this table's design. 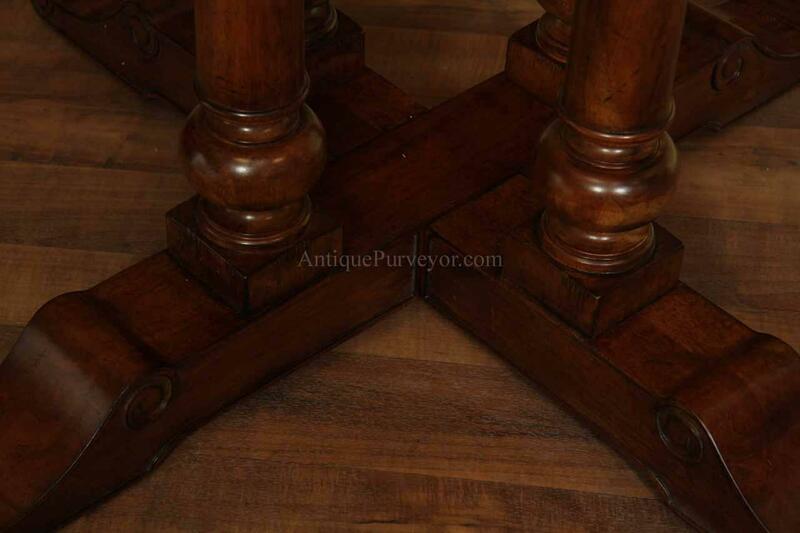 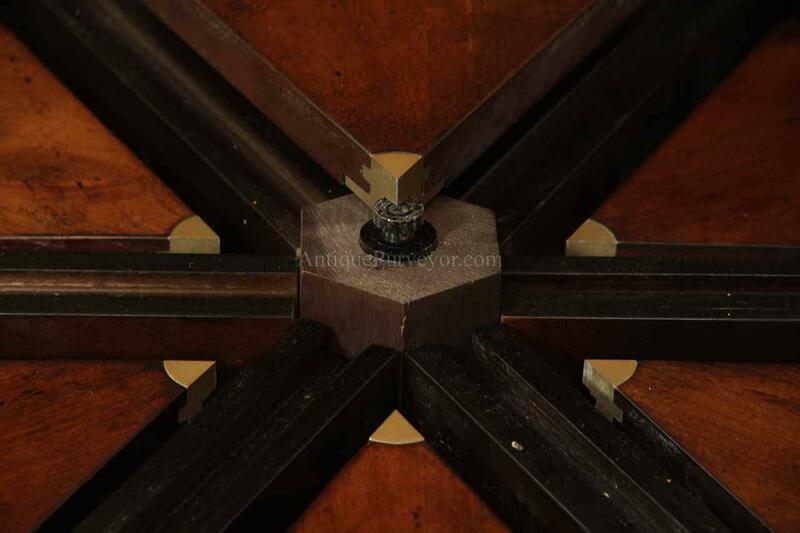 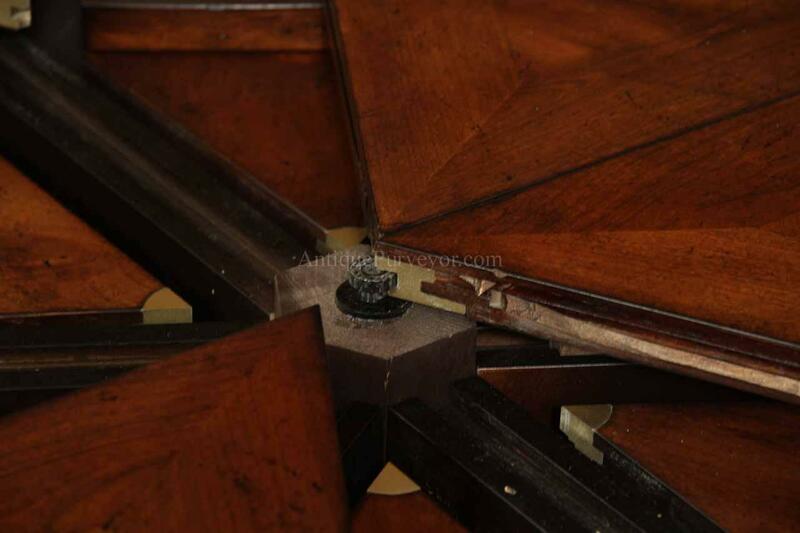 The columns are very close to each other therefore it will have some torsion issue and it can twist. 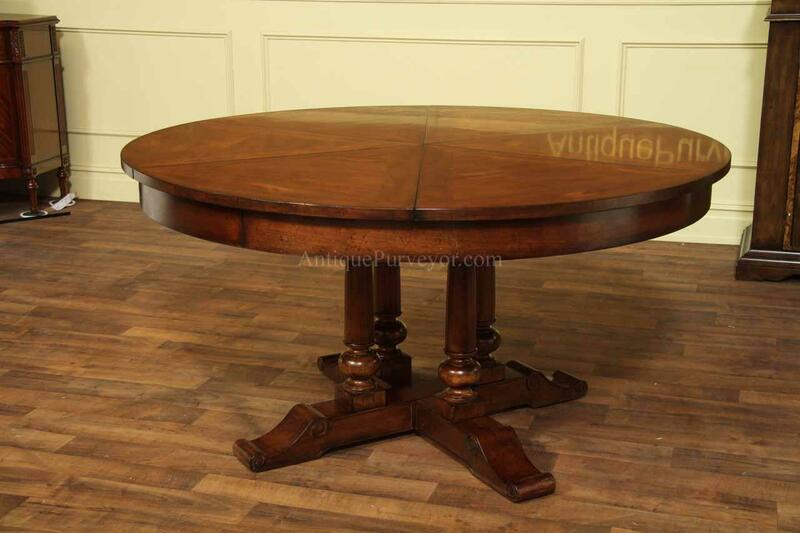 This table is very popular for us and homeowners have been very pleased with this model table. 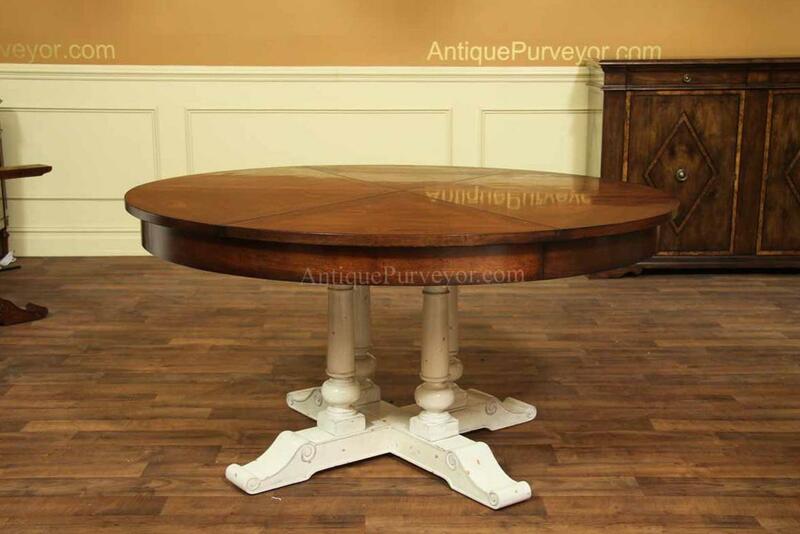 Table is available with painted shabby chic pedestal or maple finished pedestal.